Dragon's Dogma is an interesting beast that appeared on Sony’s PlayStation 3 and Microsoft’s Xbox 360 a couple of years ago now. 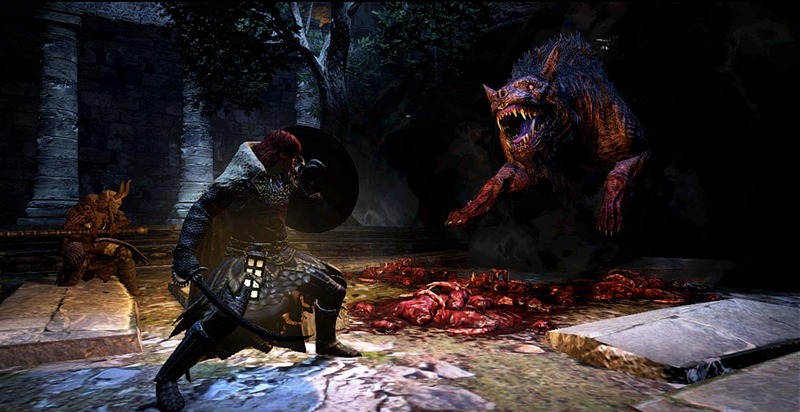 Having seen a re-work with the moniker of Dark Arisen not long after, Capcom’s giant beast of exploration, dragon hunting, ogre slaying, and chimera tracking now makes its first appearance on the realm of PC. Related reading: A good alternative for Dragon's Dogma, and one it clearly borrows its aesthetic from, is the Dark Souls series. Matt's review of Dark Souls 2 here. Before getting into the wide open spaces and freedom of exploration, things start off on a much smaller scale with players running through a tutorial dungeon with a pre-made hero. Immediately the game shows off its Dark Souls-like vibe by making even that introduction, when you're still scrambling to get used to the controls, something of a challenge. Once the introduction has run its course players will then get to create their own character and the game takes off in full. It's worth putting time into creating an avatar you can get along with, because you're going to be spending a lot of time with them, but then if you end up really not liking an element of your character you can pay to have it changed later on. From the start of the adventure the end goal is made explicitly clear; kill the dragon. While that goal isn't the most subtle or creative that you'll ever see in a game, what Dragon's Dogma does do well is give players a massive world to explore that feels like it has meaning, heritage, and purpose. Mind you, the explicit narrative does at least do something interesting with character motivation. Why does our hero set out to fight this apocalyptic source of calamity? Fortune? Fame? Riches beyond his or her wildest dreams? The thrill of the hunt? Actually, in this case it's a mix of revenge story and a compulsion that the character cannot resist; the Dragon literally rips out the hero's chest (killing them, before they revive as an "Arisen") and tells them to come find him. Why? We don't know for sure. So, while we know exactly what we're doing, there's at least some mystery in the "why" to make things intriguing. Luckily, when you're taking on a dragon you'll need allies, and the Arisen as able to acquire those as "Pawns." Pawns may be summoned to the Arisen in order to fight from any Rift Stone that they may come across on their travels. 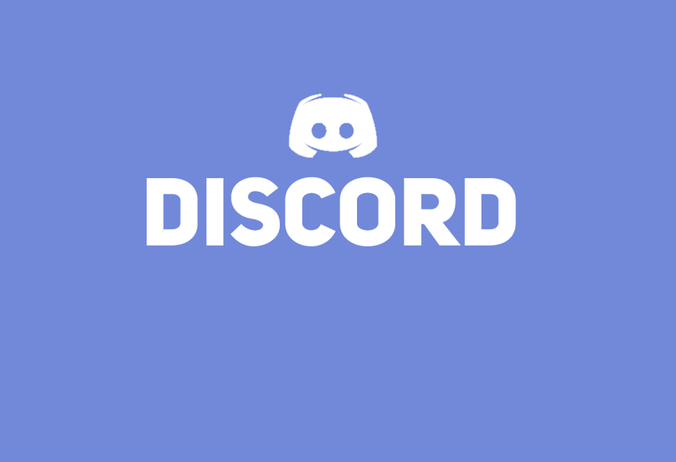 These act like mute allies in combat, fulfilling a number of roles faithfully, and effectively providing the player with MMO-style allies without requiring simultaneous connection to the Internet and other friends online at the right time. You'll get to create one personal pawn yourself, who will act as a full-time companion. In addition, two more may be summoned in order to aid in both exploration and battle. These ones won't get experience while they're part of your party - they're locked in terms of experience, and what's interesting about them is that they can be pulled in from other people's games. You can also upload your own pawn to the servers, and whenever he or she is used by another player, you'll get some rewards back in turn. This is a really clever idea, in giving the game a sense of connectedness to the real world while not putting too much strain on a person's network. There's plenty of incentive to have the best pawns imaginable in the system, which encourages players to participate in the system. It's the pawns that also populate the world as NPCs, meaning that each time you play the game you'll be treated to something that is, in a very organic sense, different to what you played previously. It does mean that Dragon's Dogma will become a desolate and lonely place as player numbers drop down and cities become less populated with pawns, but for now there's a vibrancy in here that most other JRPGs never achieve. Making Pawns worth even more than as hired help is that they may learn or already know of quest objectives from their time with another Arisen. So, if you're not quite sure where to go or who to talk to, sometimes they’ll throw in their input and point you in the right direction. A Pawn that knows the area is also more apt to find hidden objects and wonderful loot that would have been missed by the casual eye. And in turn the player's own Pawn can impart its wisdom on another player's game. It's asynchronous, but I've rarely seen a game so effective at getting players helping one another out. With everything set to march into the lair of the Dragon and take our heart back, our Arisen sets out with his Pawns. The roads will sometimes be wrought with as much danger as the forests, caves, and canyons with nothing more than a blade of tempered steel standing between them and certain death. Combat is an area that shines very well with multiple skills both active and passive that may be used. 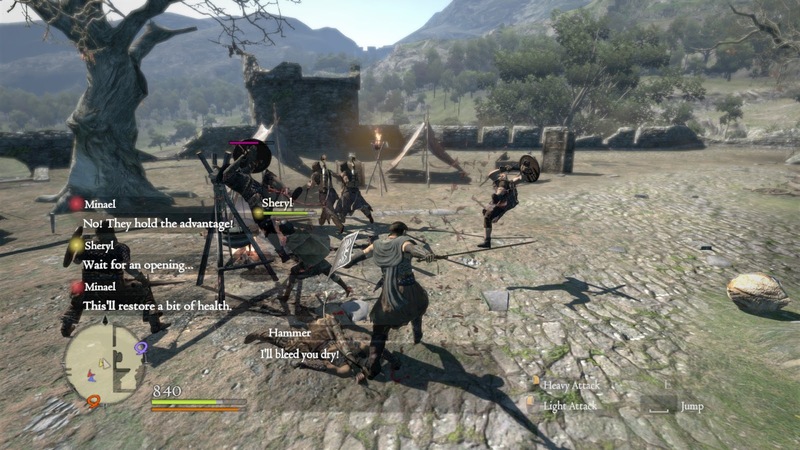 Normal and heavy attacks are available, as well as secondary skills depending upon the class such as arrow shots or blocking attacks with a shield. Using a page out of the Monster Hunter book is the ability to climb upon larger creatures in order to strike at their more vital weak points. Doing so uses up the character's stamina, as do the special abilities and so the stamina gauge should be kept under a close eye, as running out of stamina is the equivalent of a bending over out of breath after running up a snow covered hill in the middle of a Canadian winter with ten pound of winter protection; you're not going to be particularly useful for a good while. In order to explore further and further out in order to wilds a solid big of grinding is necessary because this game knows how to be tough. Levelling up affects basic stats, making the Arisen and their Pawn more powerful. But, critically, this also affects the level of Pawns that can be summoned. And then there's a secondary levelling system working on the side; the second side is the class experience level which is known as the Arisen’s Pawn’s Vocation. Vocations can be leveled up over time which allow for newer and more powerful skills and upgrades to be learnt which are going to be the true backbone of their battle prowess. It's worth going through the grinding, however, because the world is well worth exploring. 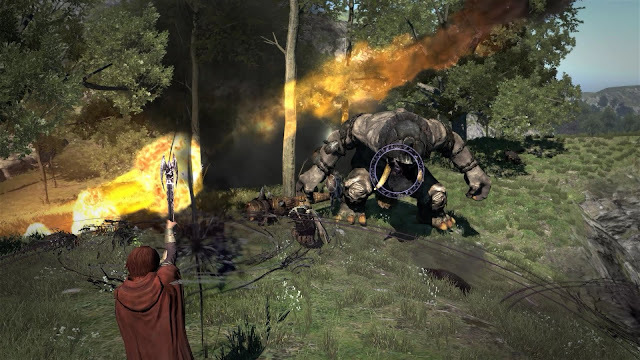 While it is technically possible to play Dragon's Dogma as a linear JRPG and just follow the preset path to the boss, that's largely missing what has to offer. The realm itself is very believably constructed, and it's fascinating to follow along the journey of a character that could barely leave his or her local village to become someone able to delve into the most dangerous and hostile of locations. And the idea that you'll want to live in the world is surely the thinking behind the developer's most contentious decision: to greatly restrict fast travel. It can take a while to wander back to a location after you've been out exploring, and while the backtracking can feel like a waste of time, in practice it's connecting you more with the world. As we saw with fast travel in Dark Souls 2, what initially seemed like a good idea became immersion-breaking, encouraging us to instead see the world as a sequence of self-contained levels and checkpoints, rather than the single, logical, and connected world that the original Dark Souls provided. There are some limited options for fast travel in the ferrystone items, but these are expensive and you're meant to be really cautious about wasting one. The number of locations that you can fast travel to are limited as well, and while it's possible to set your own fast travel locations down, they are an utterly precious resource. The only solution, then, is to run, run, and then run some more. 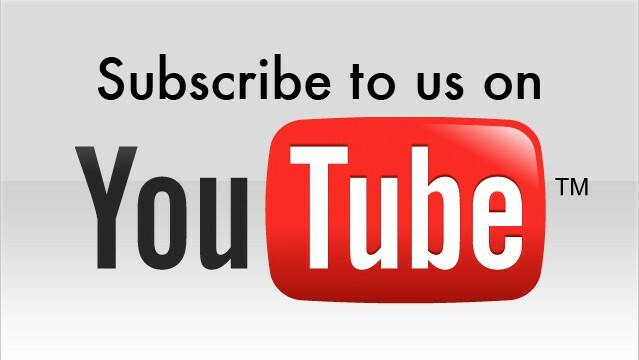 But while you're running, you're also going to be taking in a breathtaking world that has had genuine effort worked into every square foot to provide a vibrant and believable world. Finally, alongside the main normal mode are both a Hard Mode and Speed Run Modes. Hard Mode takes the default experience and makes it that much harder, but also throws in rewards to compensate for the raise in difficulty. If things are too hard the difficulty can be dropped down to normal and the adventure can continue on. Speed Run is also exactly what it sounds like and aims to have the game finished in the shortest amount of time possible. Related reading: Another game with intense battles against big beasts is The Witcher 3: Wild Hunt. Matt's full review of that very worthy game here. 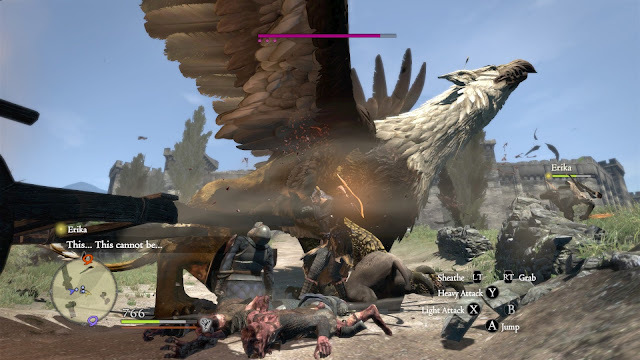 Dragon’s Dogma Dark Arisen is just as solid of an entry from Capcom as it was back upon the PS3 and the Xbox 360. With lots of landscapes to explore, character classes to try out, and help to summon, there’s no shortage of adventuring to be done, and once you're hooked on simply existing in the world, this is one that will last you for many dozens of hours. 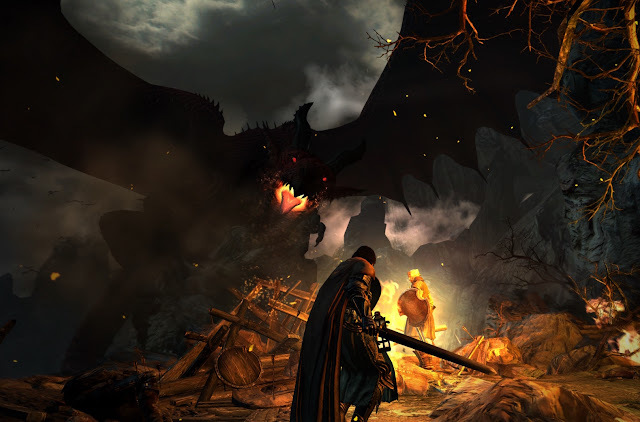 Item Reviewed: Review: Dragon's Dogma: Dark Arisen (PC) 9 out of 10 based on 10 ratings. 9 user reviews.